Gorgeous! 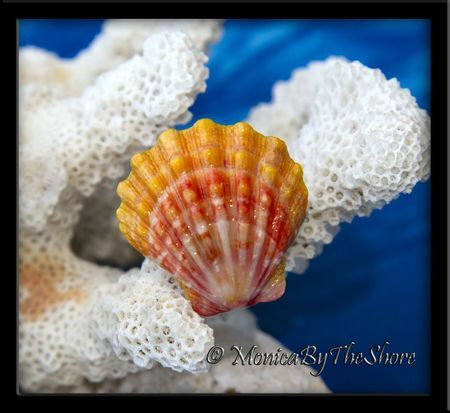 There are two remarkable things about this Sunrise Shell, it's coloration and all those ruffles! Pink, bold orange and a fringe of yellow at the scallop edges make the shells coloration so unique, and the ruffles!! There are three growth bands amid all those ruffles, such interesting and unique detail in this shell! The Sunrise Shell is mounted on a solid sterling silver ring band, size 7. 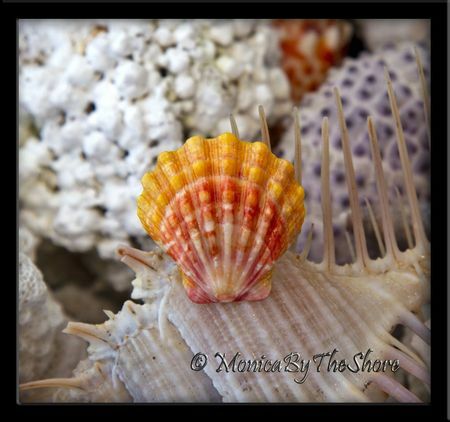 Pure Sunrise Shell aloha, perfect form, and sized at one full inch of Seashell Love! You wont be able to keep your eyes off this beautiful shell!